You probably know him as one of the most profound geniuses in history and as the physicist behind the famous "E = mc2" equation that helped explain the presence of gravity. But there's a lot more to Albert Einstein than just that. 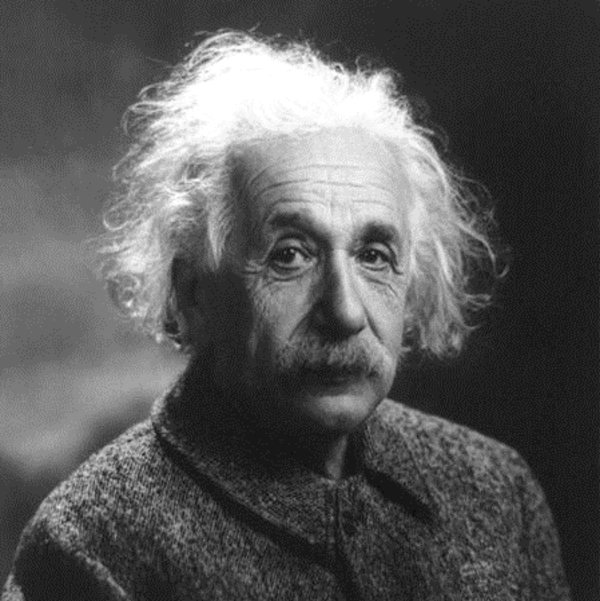 We dug up five things we bet you didn't know about Einstein. Ready? Despite the rumors, Einstein never failed math. Though he did fail his college entrance exam. 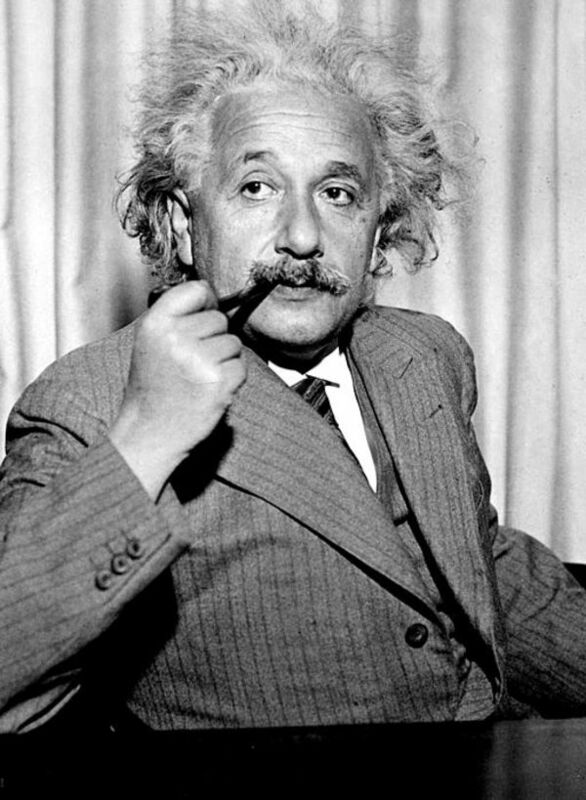 Einstein in 1933. Photo source: WikiCommons. Sorry kids—no more bringing home a flunked math test and saying, "It's okay, Einstein failed math, too." The truth is, this longstanding legend is totally false. Einstein was an average student in most subjects, but he actually excelled in math while in primary school. At 16 years-old, he did, however, fail his entry exam to the Swiss Federal Polytechnic—a STEM school in Zurich. His test scores were exceptional in math and physics, but he bombed in other areas and therefore failed the test as a whole (don't worry, he got in a year later). An autopsy revealed that Einstein's brain was bigger but lighter than the average person's. And the doctor stole it. A 1947 portrait of Einstein. Photo source: WikiCommons. After Einstein's death in 1955 from an abdominal aneurysm rupture, an autopsy and several studies were conducted on Einstein's brain. Two interesting discoveries were made: first, Einstein's brain weighed notably less than the average human brain. His weighed 1,230 grams, while the average is 1,400 grams. Second, his parietal lobe (where mathematic thought resides) was 15 percent larger. The pathologist who conducted the autopsy later stole Einstein's brain and was fired from Princeton when he refused to return it (he later did bring it back, but not until 1998). That same doctor stole Einstein's eyeballs, too. Yep, this guy was a real kleptomaniac when it came to Einstein's body parts. The doctor took Einstein's eyes—sealed in a jar of formaldehyde—and gave them to Einstein's friend and ophthalmologist, Henry Abrams. Abrams stored the eyeballs in a safety deposit box in New Jersey. Though frequent rumors bubbled up that the eyeballs were up for auction, Abrams vehemently denied the claims until his death in 2009. The whereabouts of the eyeballs today are unknown, but presumably, they may still be in that New Jersey bank vault. J. Edgar Hoover spied on Einstein and had a 1,400-page file on the scientist. Hoover began spying on Einstein shortly after he fled Germany in 1932 to escape the rising Nazi Socialist party. Einstein was a vocal political activist, who denounced nationalism, racism, and even questioned capitalism. His left-wing views put him on Hoover's radar, who believed Einstein could be a communist or even a Soviet spy. Einstein was, of course, neither, but that didn't stop Hoover from ordering agents to listen in on his calls, read his mail, and even sift through his trash for close to two decades. Einstein hated socks. That's right—the man behind one of the most important scientific discoveries in recent history had a big beef with socks. He once bragged to a colleague about rarely wearing them at Oxford and was said to be annoyed by the constant holes that popped up. Whether it was while out sailing or to a formal dinner at the White House, Einstein went without socks everywhere. To Einstein, socks were a pain because they often would get holes in them.